Interested in setting up a cool screensaver that will display a continuously changing collage of photos from the Electronics Workbench and Printed Circuit Boards flickr pools? 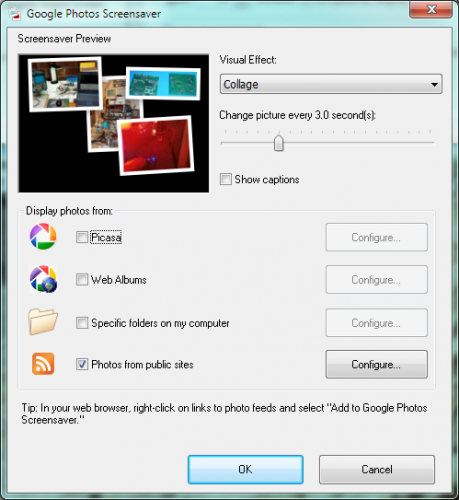 First, install Picasa. This should install the Google Photos Screensaver. Set the Visual Effect type to Collage, and adjust the Change picture every… slider to taste – I suggest starting at 3.0 seconds. 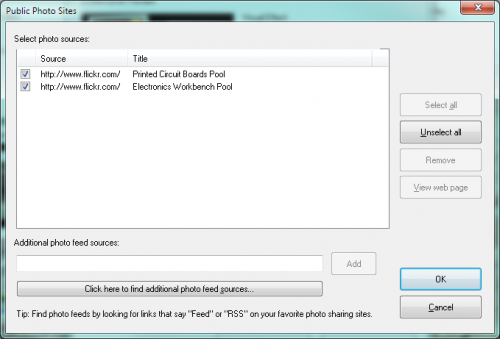 Copy and paste each of the following RSS feeds into the Additional photo feed sources dialog, and click Add after pasting each one. 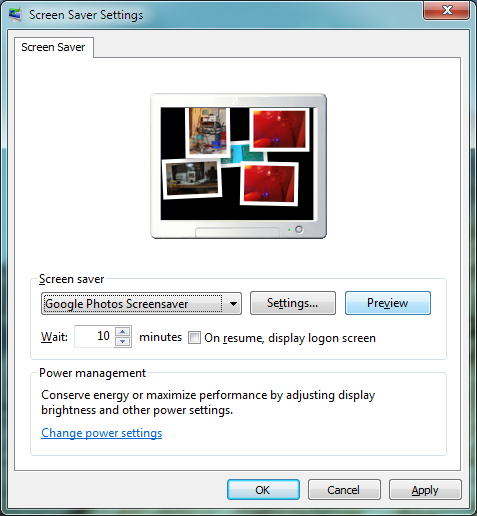 After adding both feeds, make sure the entries for each them are checked and click OK. Then click OK again to return to the Windows Screen Saver Settings window. 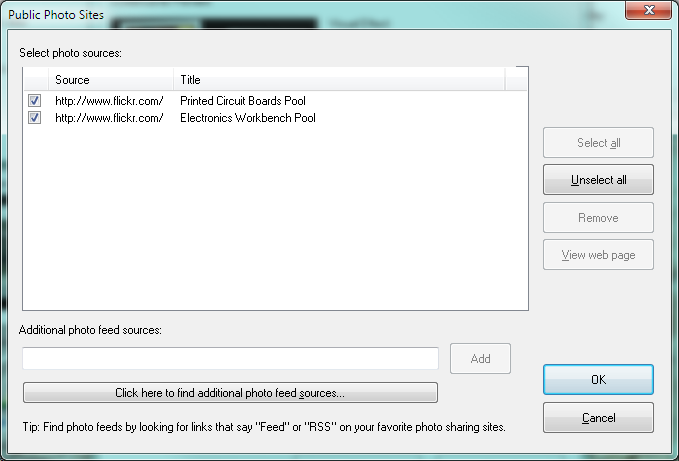 Click Preview and photos from the Electronics Workbench and Printed Circuit Boards flickr pools should start appearing on your screen. If so, the screen saver is working. Click OK to close the control panel and you’re done! If you’re interested in setting this up in OS X, the process is very similar – just add the RSS Feeds to your screen saver settings as documented here. 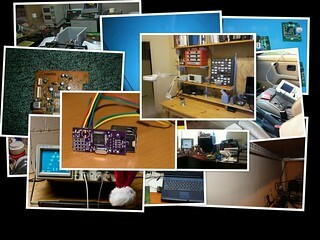 Since creating the Electronics Workbench Flickr group last November, I have received lots and lots of really amazing submissions from electronics hobbyists and professionals around the world. My two biggest takeaways so far? 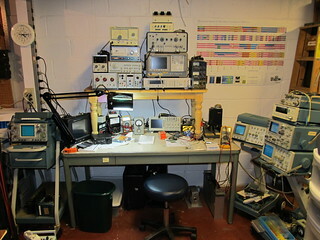 I do not own nearly enough test equipment, and my shop is not nearly as well-organized or space-efficient as it could be (I need to use all available wall space and build up). 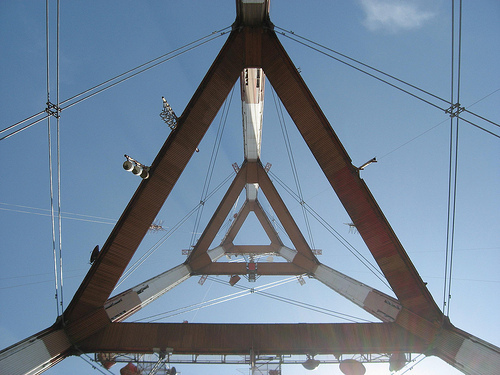 Click any of these images for a larger version! 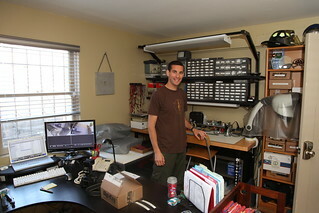 See if you can spot the Tektronix 575 curve tracer! There are lots more great photos in the group photo pool. 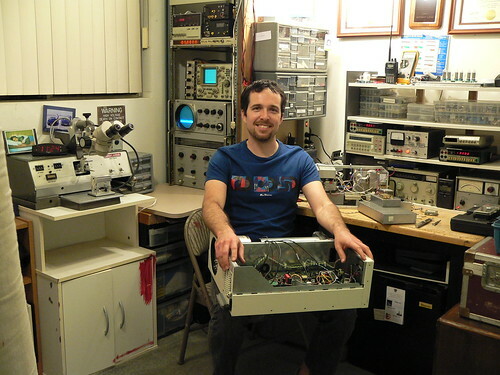 Do you have an electronics workbench that you’re proud of? Snap a photo and share it with the group! 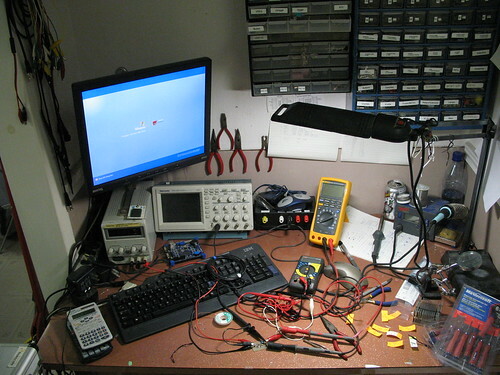 Ahh, the electronics workbench – shrine to the electron, the diode, the transistor, the soldering pencil and flux pen. 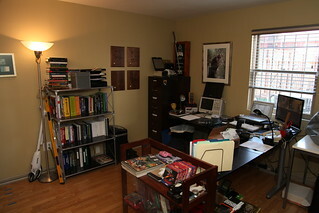 You can learn a lot about someone by looking at their workspace. 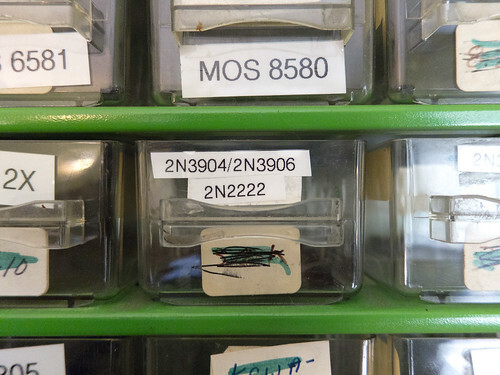 Note the way that they store components (in pullout drawers or plastic organizers? 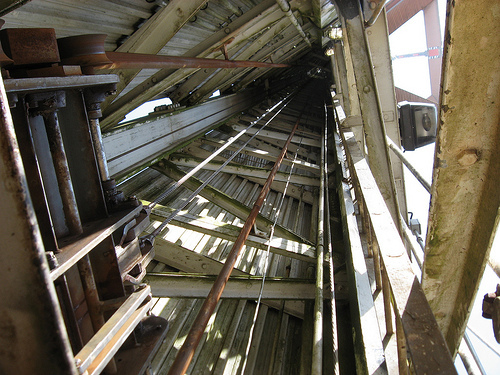 ), hang test leads (on hooks or wire racks, or on a nail? 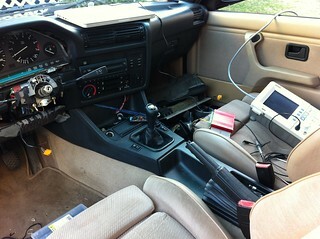 ), and keep spools of wire at the ready for repairs and new projects. 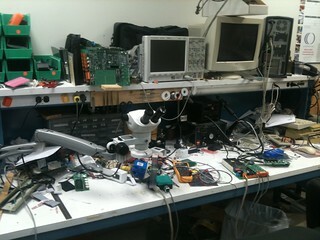 A look at someone’s electronics workbench gives you a small glimpse into what is usually a fairly personal space – a space where visions become reality and electronics projects are brought to life. 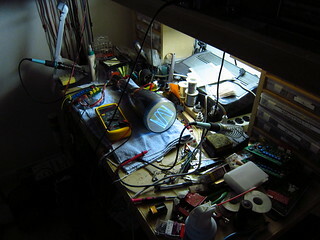 While there are quite a few electronics workbenches on flickr, I determined after a quick search that there had been no attempt to bring all of these glimpses into a hobbyist or engineer’s soul together into one place. 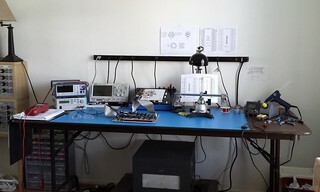 Have a photo of your bench? Add it to the group! No? Then go downstairs into your basement, out into your garage, or up into the attic and take one! 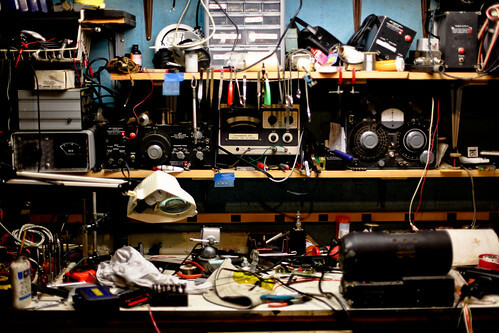 And don’t spend too much time cleaning it up first – noone will believe you that your workbench is that clean when we’re not looking. 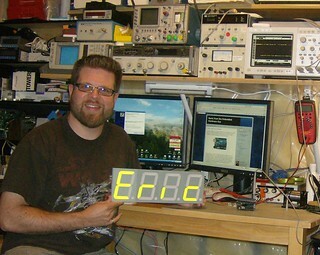 Also, a shoutout: This group was inspired in part by the Workbench of the Week (WOTW) page over at The Amp Hour. I don’t think WOTW has been a feature on the show for several months. Maybe we can get Chris and Dave to bring it back?? 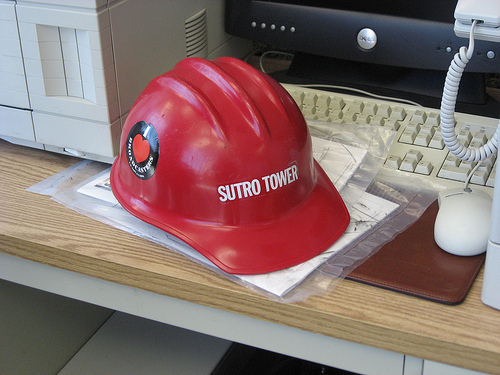 David July, who runs sutrotower.org, posted a fascinating set of pictures documenting his tour of San Francisco’s Sutro Tower.